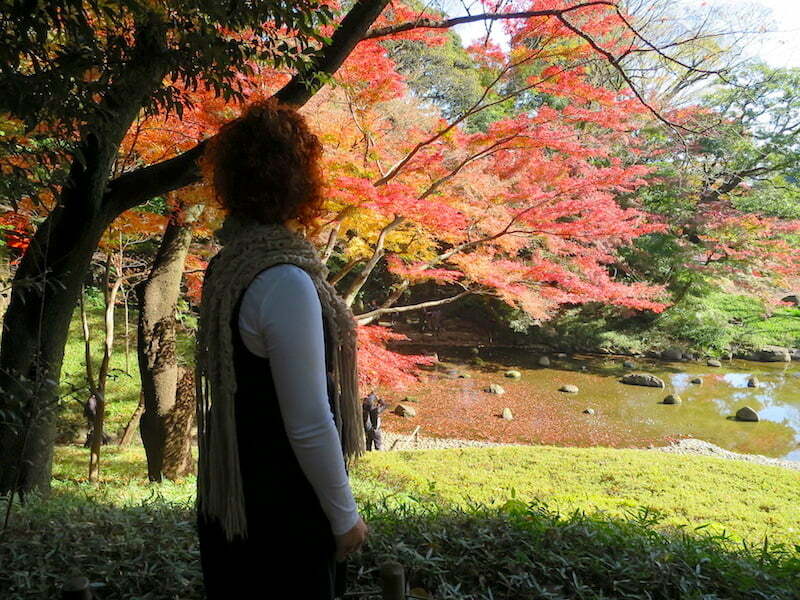 While the weather in Sydney has been really heating up, I’ve escaped to a cooler side of the world to do something I’ve yearned to do for a while now – see Kyoto’s autumn colour! Some connoisseurs say that autumn is even more beautiful than spring, but when I lived in Japan for 6 months a few years ago, I had to make a choice and spring won. But now I’m back with a vengeance! Raa! In this video, I explore my favourite Tokyo garden Koishikawa Kōrakuen. And next I’ll be setting up base in Kyoto because it just has so many incredible gardens in the one city which I love to cycle around on my bike. Most of the gardens are in temples, so with over 1600 temples in the city, that’s a lot of gardens to visit and a lot of cycling! You can see photos of the delightful Koishikawa Kōrakuen and join me for all my coming 11 days of garden and food adventures in Kyoto on my Garden Atelier facebook page, and there’ll be more videos on GardenDrum soon too. Your “to camera” is confident and impressive Miss Chantelle, you will go faaaar .. Can’t WAIT to see and hear more from Kyoto !! ‘To camera’ is that what it’s called Peter?! Thanks! I’m learning, and it was fun. Kyoto videos are coming soon! SUGOI Shonteru san! Really enjoyed the online stroll with you in Tokyo…looking forward to Kyoto. Haha ARIGATOU Louisesan 🙂 I’m so glad you enjoyed it, thanks for the lovely feedback!